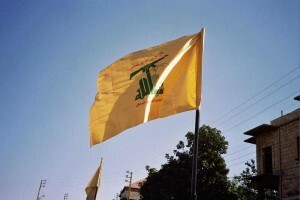 The Hezbollah flag. Dozens of Hezbollah terrorists were killed in a chemical attack in Aleppo. Photo: Wikipedia. Dozens of members of Hezbollah were killed last week in Aleppo in an “accidental” chemical attack carried out by the Syrian military, diplomatic sources reported to the Kuwaiti newspaper Al-Jarida. The report stated that Syrian fighter jets struck militants from the Shi’ite terror group when they mistakenly attacked the town of Al-Eis, south of Aleppo, in their efforts to retake the region.